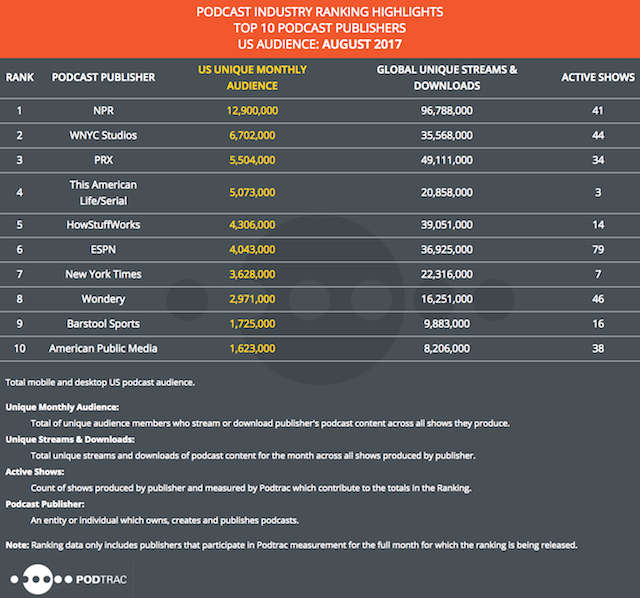 In a month of shifts in its show rankings, Podtrac’s publisher rankings followed suit, with a new face joining the August 2017 lineup. WBUR dropped out of the top 10 for the month, making room for newcomer Barstool Sports at No. 9. This publisher made its debut on the show rankings for August with its Pardon My Take podcast. Otherwise, the publisher rankings only saw slight swaps in position from July. NPR continues to lead the pack with a U.S. unique monthly audience of 12.9 million and global unique streams and downloads of 93.66 million. PRX edged out This American Life/Serial for the No. 3 slot. 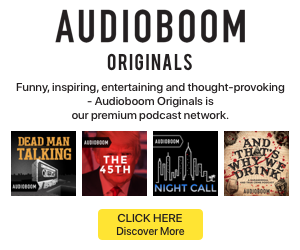 Podtrac’s publisher rankings only include those companies that participate in its measurement systems for the entire month.